Abigail Washburn: Chinese Lyrics, American Roots She was born in Illinois. 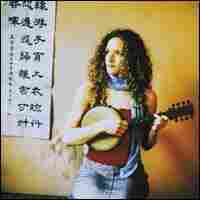 But when Abigail Washburn picks up a banjo and sings, the lyrics are often in Chinese. An immersion in Chinese culture inspired her to reconnect with American musical roots. She was born in Illinois. But when Abigail Washburn picks up her banjo and starts to sing, she often delivers her lyrics in Chinese. It turns out she was speaking Chinese before she learned to play the banjo. In her early 20s, Washburn lived in the city of Chengdu. She says her immersion in Chinese culture inspired her to reconnect with the roots of American music.